Chairperson of Parliament’s Police Portfolio Committee, Francois Beukman, says they are very concerned about issues of promotion among South African Police Services (SAPS) members that could lead to them downing tools. It is illegal for police to strike as they are considered an essential service. Beukman accepted a memorandum from affected SAPS members at the gates of Parliament. A group of police members are unhappy with recent promotions in the service. Members of the South African Police Union (Sapu) have threatened to down tools. Beukman called on affected parties to resolve the issue. “It is unacceptable that they must wait for three years before the matter of promotions is dealt with. Equally enough, we also call on Minister and National Commissioner to deal with this as a matter of urgency. 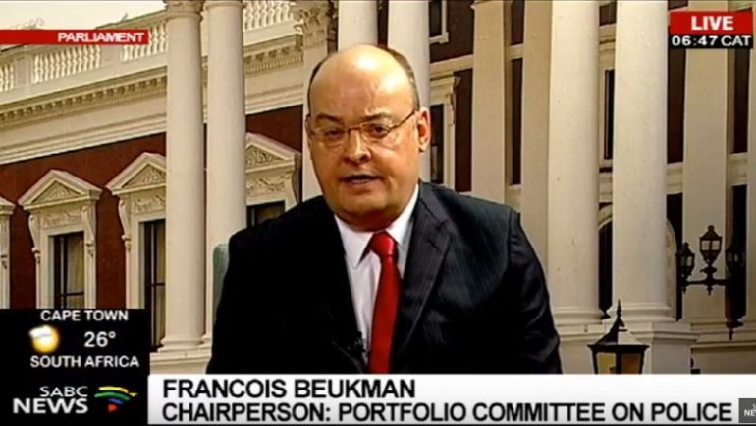 We need stability, but on the other hand, we need the members to return to the stations,” says Beukman. The post Parly Police Committee wants SAPS members promotion issues resolved appeared first on SABC News – Breaking news, special reports, world, business, sport coverage of all South African current events. Africa's news leader..